does anyone read anything of this man's, other than 'the book of disquiet'? Odd. I have not read any Pessoa, yet. But I just checked out a copy of The Book of Disquiet from the local library and it is on my shelf awaiting my attention. there's a selected poems out in penguin classics and a different one in penguin modern classics. the former has a nicer title, and is longer, but the latter has a nicer cover, and is shorter. there's also a selected poems by city lights, and a centenary pessoa reader by something called plyfield books. the centenary pessoa has a 'search inside': i cannot link the picture of the cover, on which is a picture of him (pessoa) drinking. oh, i didn't mean for those to have line breaks. i do apologise. I adore Pessoa, but I haven't read him in English, just French, and not in a while. Check out Antonio Tabucchi's essays and works on him. I'm not seeing this in English, unfortunately. I haven't read the Book of Disquiet, which looked rather dreary and too close to home. I've read at least one selected poems, the one published by Ecco, and some other things. Search: Almost everything written by Alvaro De Campos (not just poetry, but also his essays, especially "Notes For A Non-Aristhotelic Aesthetic"); a lot of the Pessoa criticism, and short stories ("The Anarchist Banker") seems very easy to find in english); much of Ricardo Reis; that picture of him drinking wine. I have a small biography of Pessoa with a photo of him on the cover, reminding me of Zelig. Finally reading this guy. Finishing The Book of Disquiet and the sensations he comes up with! Its fine if he talks about himself (well not fine and dandy, he is too keen to coming across as fragmented and broken as the writings collected) but loses me when talking about the way his generation has gone, or what have you. Must track down the Penguin classics, its 500 pages as opposed to the 250 odd pages - although there is no final version (which totally suits) I think more and more pages are what's needed. haha yes well the only way I could justify Caeiro's poetry is to say we never look or are awed by nature so Caeiro is reprogramming us. Going through the Larger than the Universe Collection now: much passes by, but there is some killer on this. The futurist angle is a nice surprise -- and then not at all surprising, given his politics. Love to read his writings on Esoterica. Living in Portugal so long has really soured me on this dude. Still dig some of the punk rock futurist stuff and a lot of the essays, but Pessoa's carefully cultivated dourness is a big turn-off. The Book Of Disquiet is a particular offender. How much of this is to do with living in Portugal (totally get this, its probably why I can't engage with much writing in English and run to novels from other countries and continents), and how much is it 'cultivated dourness' -- and for the latter it comes across as a very strong, crafted persona (whether he really felt this way or not is besides the point). One of the strengths of The Book of Disquiet is the fragmentary nature, you can take or leave as much as you like - it doesn't require a prolonged period of engagement with it, even if its a more powerful experience when you do read it all in one go. Oh, it is certainly a very well crafted persona(e), and you have to hand it to the dude for pulling this through with an almost rock star level of thoroughness - from the poetry to the essays to every last photo, it's all Pessoa exactly as he wanted to be viewed, as iconic as a comic book character. And of course his real feelings are veside the point - his repping for artificiality, for the poet as faker, is still one of his most agreeable facets, to me. I suppose what I meant by cultivated dourness is....lonelyness is a big part of his persona, and from what we can tell a big part of his actual biography as well, and said lonelyness sometimes strikes me as being a sort of discipline for Pessoa, like he's deliberatley making himself miserable in order to prove his philosophical points. Of course he isn't really depressing in any sort of traditional way, I mean, he's no Sylvia Plath...but he does have this monk-like ascetism to him, accompanied by a certain level of pedantry. I just find that sort of austerity really opressive at times. Re: Portugal, well, short of moving, there's really no way for me to tell, is there? :) But I suppose my dislike is partly a pretty puerile reaction against Pessoa's omnipresence; I mean people always moan about classics, but in a country as small as this, I do think it hits harder to have the same damn author thrown in your face again and again and again. I mean doing a Pessoa poem is the standard "deep" thing for pop singers to do, everyone goes through a Pessoa phase, you can get your daily Pessoa quote from Facebook, etc. So he becomes the one poet who's omnipresent in both highbrow and pop-cultural contexts, and at a certain point you just can't deal with the fucker anymore. On the other hand, at least you have a great writer everyone in the culture seems to engage with in some way. Wish I could say the same for Australia. whats the matter with crocodile dundee? I hadn't realized Pessoa was that much of a deal in Portugal! In my head it would have been someone like Eca De Queiros. Queirós is reasonably well liked,but his work is too specifically tied into a certain time in portuguese history to appeal to non-readers. Also he traded in huge ol' 19th century novels, the hugest of which is still part of the high school curriculum, so there's a lot of people with an axe to grind against him. 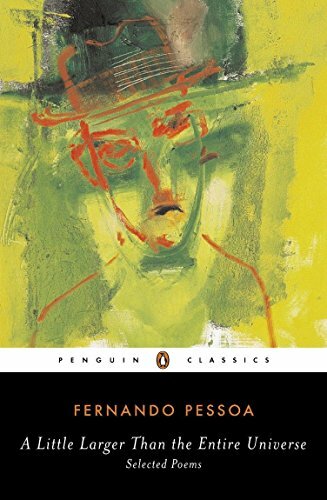 Pessoa is better loved because he dealt in fragments, and even though much of his work is very abstract/theoretical there is still enough "simpler" stuff to connect, plus his output is reasonably vast enough that pretty much everyone can find something to enjoy. He taps into a lot of stuff - melancholy, love of nature, Ricardo Reis' eastern philosophy stuff - that plays well for a high school audience, I guess. Also, the fact that he's actually acclaimed outside Portugal - something which no other classic portuguese writer, be it Camões (most well known for getting shat on by Ezra Pound, I guess?) or Queirós or Camilo Castelo Branco, can lay a claim to - certainly doesn't hurt; foreign approval counts for a lot over here. I'd say the only othe portugueser writers that are as well known/well liked outside literary circles as Pessoa would be Saramago and António Lobo Antunes, both of which have the particuliarity of being, you know, alive. I hadn't realized Pessoa was that much of a deal in Portugal! There are several great Australian writers, I didn't mean to imply not, just that even most Australians don't know who they are. The home-grown writers most seeming to get read are bloody Matthew Reilly, Bryce Courteney and Colleen McCullogh. But we're a long way from Pessoa now! Pessoa was unacquainted with Les Murray, a leading contemporary Australian poet. It is not surprising, because their dates don't overlap. Ern Malley is Australia's very own Pessoa. Pessoa also wrote as Alexander Search, a Scottish engineer; Alberto Caeiro (Pessoa often called this invented character “my master”); Ricardo Reis; and Álvaro de Campos, a retired, bisexual naval engineer and melancholic with an addiction to drugs. I don't even know if anyone looks at this thread but here's a site I've put together for a project I'm halfway through: ILB FAPpers will recognise this from last time, and readers of the ILE printing thread will have seen the link before, sorry if that's annoying.. Cool idea. I've been reading the collected poems lately. I agree that the De Campos stuff is the best. Tim! Is March 24th still the release date of your Pessoa project? It looks so so delicious! LBI! I ilxmailed but either you didn't want to talk or you don't check that email address. ANYWAY publication date is tomorrow, but I've had to stop taking orders for now because I need to work out how many firm orders ("yes I will buy a copy") will turn into actual orders ("you have money"). It looks like there may be a small display of the work at an excellent bookshop in Amsterdam at some point later in the year, thrillingly. Tim, the latter! Don't check that e-mail addres anymore, but will send ilxmail w/ new e-mail addy back! Has Tim Hopkins, or anyone else who might be interested, seen this review? I haven't; looks interesting from the little piece I can read. I'll try to look it out. I did see the review. It was good in the sense that Wood let a few quotes speak for themselves, and for you to make a judgment on whether its good poetry or what have you. The myth is the nothing that is everything. Was because he didn’t exist. And in animating it trickles away. We see the oxymorons immediately – nothing is everything, a dead body is alive, being has no existence, non-arrival is arrival, there can be half of nothing, life dies – and Jakobson shows in detail how they play out. I want to take them a step further, though, and suggest that for Pessoa they are just a beginning, one way of troubling language’s comfort, of indicating what we might call the truth of nonsense, or the importance of the impossible. The Book of Disquiet, for example, which is not a poem or a riddle, is full of them: ‘Everything wearies me, even those things that don’t’; ‘Not even here, where we were happy, were we happy’; ‘this immortal but dying evening’. At one point the author – Pessoa and/or his literary representative, we’ll come back to this partnership – highlights the ‘two principles’ on which his ‘stylistic system’ rests. First, he will match his language to his feelings, be clear when things seem clear, obscure when they seem obscure, and confused when they seem confused; and second, he will ‘understand that grammar is a tool not a law’. ‘An ordinary person’ might say of a boyish-looking girl that she ‘looks like a boy’. Another, using an oxymoron, might say, ‘That girl is a boy,’ but Pessoa prefers a genuine violation of the agreement between noun and pronoun: ‘She’s a boy.’ In a more intricate move he decides he might want to use ‘exist’ as a transitive verb. Self-creation could be worded as ‘I exist me,’ and Pessoa claims that the phrase will have ‘expressed a whole philosophy in three small words’. Needless to say, he doesn’t write like this, and he is never obscure or confused. But he is very lucid about the discreet war we need to wage with logic if we want to approach the actual tangles of the self and the world. The multiplied self is not an oxymoron or a grammatical problem, but it is hard to talk about. Anticipating Woody Allen’s joke about how many people inhabit our psyches, Pessoa writes: ‘Each one of us is two, and whenever two people meet, get close or join forces, it’s rare for those four to agree.’ But quite apart from making the ordinary shifts of consciousness we all know – those moments when we start to address ourselves as ‘you’ – Pessoa acted out self-difference with actual names. The scholars Jerónimo Pizarro and Patricio Ferrari list 136 heteronyms for him. A heteronym, for Pessoa, was a pseudonym that went beyond pseudo, it signalled the work of ‘an author writing outside his own personality … the work of a complete individuality made up by him, just as the utterances of some character in a drama of his would be’. Pessoa said this in an anonymous article; and we note that whatever the names, and whatever ‘outside’ may mean, there’s only one person doing the writing. Not the death of the author then, but as Adam Phillips shrewdly said in these pages (17 July 1997), we do see a writer who was ‘acutely aware of how the author got in the way of the writing’. Fernando Pessoa was born in Lisbon in 1888 and died there in 1935. He spent much of his childhood in South Africa, returning to Portugal when he was 17. He worked on The Book of Disquiet for large patches of his life, leaving two trunks full of drafts carefully written but not definitively collated or sifted. The earliest passages are dated 1913, the latest 1934. 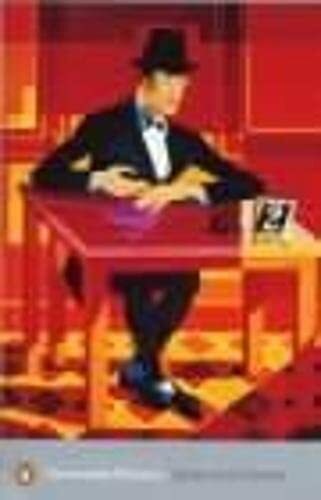 A version of the book appeared in Portuguese in 1982, and was at that point attributed to Bernardo Soares, an assistant bookkeeper working for a fabric firm in Lisbon. The name is a pseudonym rather than a heteronym, because although he is not exactly Pessoa – the name is not a transparent mask – he does write in a style which is, Pessoa says, ‘for good or ill, my own’. 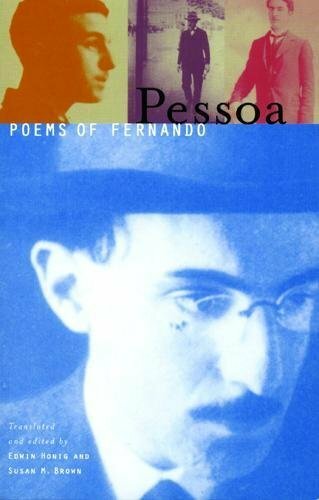 ‘In prose,’ he adds, ‘it’s hard to other oneself.’ Pessoa’s best-known heteronyms are all poets, one of whom, Alberto Caeiro, he described as his ‘master’. The effect of all this, as Pessoa well knew, is to turn his own legal name into a fiction. If we could express our surprise to him, he would no doubt ask us what else we thought a name, or indeed a personality, was. There is an engaging moment in The Book of Disquiet where Soares quotes Caeiro and identifies strongly with a particular line: ‘Because I am the size of what I see.’ A fiction strengthens itself through another fiction, which declares a creative relativism. Caeiro is not denying his own size, or the smallness of the rural world he likes to celebrate; only claiming that small worlds help us to imagine large spaces. This first version of The Book of Disquiet was translated into English four times in one year: in 1991, by Margaret Jull Costa, Alfred MacAdam, Ian Watson and Richard Zenith. The last of these texts started out as The Book of Disquietude, but the longer word was soon dropped. As Jull Costa says, desassossego can be rendered as ‘unease/disquiet/unrest/turmoil/anxiety’. The prefix ‘desas’ means what ‘dis’ means in most Latin-derived languages, and sossego, meaning ‘calm’, is remotely related to ‘sedere’ and our word ‘session’. It is a book about not being able to sit, supposedly written by someone who, apart from his occasional walks around town, does nothing else. Every passage in the new version, based on Jull Costa’s earlier translation with new material from Pizarro’s 2013 Portuguese edition, is identified by its date. Most of the early dates have question-marks, as do quite a few of the later ones, so we can no doubt look forward to many exchanges of scholarly fantasies about where to place which bit of text. There is a lot more material here, and above all there is an additional author, also a bookkeeper, also the inhabitant of a fourth-floor Lisbon flat, but a little more strenuously romantic about his non-project. ‘I am the great defeat of the final army that sustained the final empire,’ he writes. ‘I taste of the fall of some ancient master civilisation.’ Excusez du peu, as they used to say. He is called Vicente Guedes. He wrote the drafts from 1913 to 1920; those of Soares are from 1929 to 1934. It might be hard to distinguish Guedes from Soares in the flesh, if either had flesh, and it’s not unreasonable to think they both look like Pessoa. Guedes is ‘a man in his thirties, thin, fairly tall, very hunched when sitting though less so when standing, and dressed with a not entirely unselfconscious negligence’. Soares describes himself as he appears in an office photograph: ‘I look like a rather dull Jesuit. My thin, inexpressive face betrays no intelligence, no intensity, nothing whatever to make it stand out from the stagnant tide of the other faces.’ No, there is a difference, and it’s the same as the one we find in the writing. Guedes is working at being no one, Soares has already got into the habit. ‘This book is the autobiography of someone who never existed,’ a third-person prefatorial passage asserts, a more complicated remark than it seems, since the sentence means not only that the author as presented is fictional but that the supposedly real person behind the text didn’t have much of a life – he was a sort of reverse Ulysses, failing to be although he did actually exist. Both Guedes and Soares pause quite often to tell us what they are doing. The first says: ‘This book is a single state of soul, analysed from every angle, traversed in every possible direction.’ The second asserts: ‘These are my Confessions and if I say nothing in them it’s because I have nothing to say.’ Are they telling us anything? Surely these are ‘conversations with myself’, as Soares says. Or as Guedes more wittily puts it, ‘Only business letters are addressed to someone.’ But then the wit itself gives the game away. There are plenty of writers without actual readers, there are no performers without imaginary audiences. And both of Pessoa’s autobiographers situate themselves very precisely within their own history, telling themselves what only other persons would need to be told. or rather to part of a generation, that has lost all respect for the past and all belief or hope in the future … We are convalescing … The truth is … that the things we love most, or think we love, only have their full value when we merely dream them … We would be anarchists had we been born into the classes that describe themselves as underprivileged, or into any other of the classes from which one can fall or rise … Those of us who are not pederasts wish we had the courage to be so … Bereft of illusions, we live on dreams, which are the illusions of those who cannot have illusions. There are echoes of Baudelaire and Wilde here, parallels with figures to be found in the work of Eliot and Virginia Woolf. And throughout the book, early, middle and late, there are grand posturings about the horrible necessity of having to do something, or anything. ‘Living seems to me a metaphysical mistake on the part of matter, an oversight on the part of inaction.’ This tone is more Symbolist than Modernist perhaps, and Soares himself speaks of Decadence. I’m thinking of the great line in Villiers de l’Isle-Adam’s Axël: ‘As for living, our servants will do that for us.’ Guedes and Soares often seem to be saying something like, ‘As for living, we can pretend we don’t have to do it.’ Or more fearfully: ‘Above all, let’s not become indistinguishable from our servants.’ Soares does write of ‘the suffocating quality of the ordinary’. Soares doesn’t reveal himself quite so much, but he has a stronger analytic sense of his own condition, which in many cases is ours as well. ‘We are all accustomed to think of ourselves as essentially mental realities and of others as merely physical realities.’ ‘I am more like myself than I would care to think.’ ‘After us the deluge, but only after all of us.’ The idea of knowledge haunts him. A ‘sudden notion of the true nature’ of his being ‘weighs on [him] as if it were a sentence not to death but to knowledge’. This sentence would then itself be a terminal miscarriage of justice. ‘To know oneself is to err … . And to consciously unknow oneself is the active task of irony.’ Even writing is no way to deal with ‘the dissatisfaction of the bourgeois I am not and the sadness of the poet I can never be’. I am the outskirts of some non-existent town, the long-winded prologue to an unwritten book … I’m a character in a novel as yet unwritten, hovering in the air and undone before I’ve even existed, among the dreams of someone who never quite managed to breathe life into me. It’s astonishing to see how precisely the Ulysses poem answers these cries, confirms and refutes them. The myth is everything because it’s nothing, it wouldn’t be a myth if it was real. But we wouldn’t need myths if so-called reality didn’t let us down so frequently. The mythical founder of the city, like the spellbound writer and his precious dolls, like the unreal outskirts, the windy prologue and the unwritten character, will stay with us as long as the myth holds, the false magic is actually true for a while. Or true in its way all the time, just not practical or verifiable – we know that the myth is a myth and that the novel isn’t written. In all I write. No. I don’t use the heart. Looking onto something else beyond. It is the latter which is beautiful. Serious about that which is not. Feelings? Let the reader feel! [*] The translation, slightly modified, is by David Butler in Fernando Pessoa: Selected Poems (2004). I did not know that you were mentioned in the introduction, Tim - congratulations - that is great and I believe well deserved. It is curious for me to read about this book (whose content I don't think Wood really explains) as, apparently, a book with lots of consecutive pages which add up to something, etc, because I have come to think of it as this box that Tim Hopkins made with matchboxes, envelopes etc inside, each with epigrams on them. Thanks! You can read the introduction here if you're interested: https://serpentstail.com/media/previews/9781781258644_preview.pdf - I'm mentioned very near the end. As ever, I should say how helpful and nice Margaret Jull Costa and Serpent's Tail were in letting me have at their text.